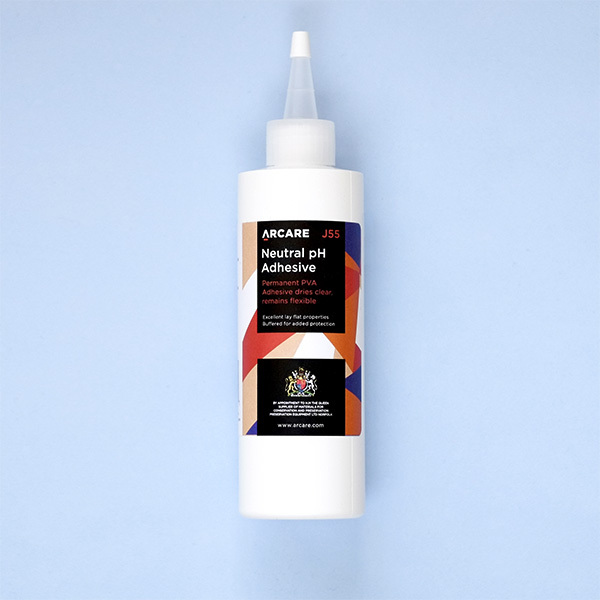 Archival PVA Neutral pH Adhesive is a permanent adhesive that is clear when dry. It will also remain flexible and won’t become brittle with age. Made specifically for preservation materials. The adhesive has excellent lay-flat properties. This will keep curls and waves in the paper to a minimum. The easy to use polyvinyl acetate (P.V.A.) formula will set fast. But, stay tacky for long enough to so you can work with it before it dries completely. Will adhere to most surfaces. Ideal for use with paper, board, framing, collage, crafts and bookbinding. Have at look at the other Storage and Mounting items we stock.